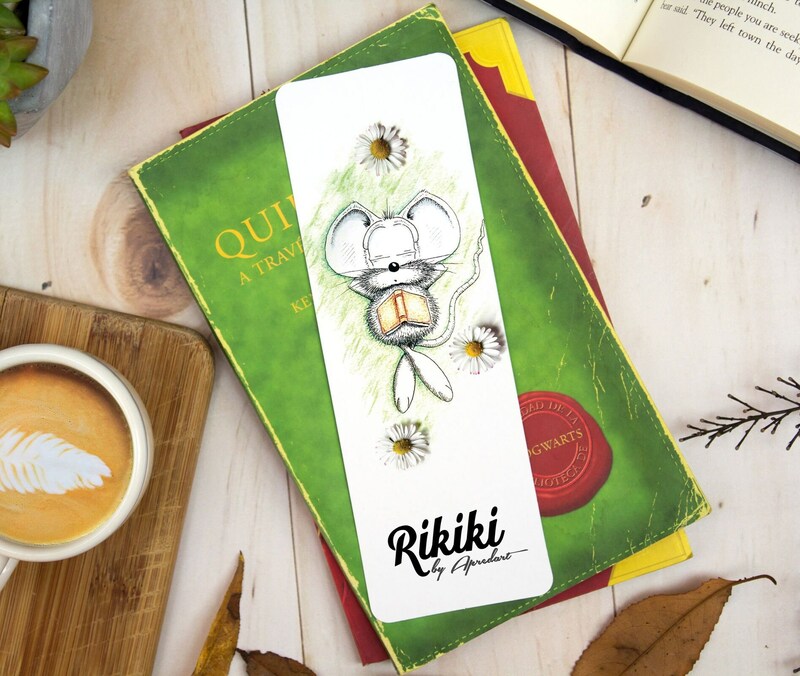 A special book needs the right bookmark, and what better than a unique illustrated bookmark with our cute little mouse Rikiki? He loves reading too, which makes him the best companion because he won’t interrupt you while you enjoy your favourite book. Whether you want to treat yourself, or look for a “just because” gift for that bibliomaniac friend of yours, we promise you won’t be disappointed with this one: the original illustration is printed on laminated 300 gms paper with round corners, and it’s just really pretty! We have 7 different designs, and they’re just one click away from being yours. If you want a custom product, please message us and we'll do our best to make it happen. Currently, we offer custom mugs, but we're always happy to hear from you! If you're interested in placing wholesale orders or have a shop where you would like to sell our products, please message us and we will offer you a discount based on the quantity of items. 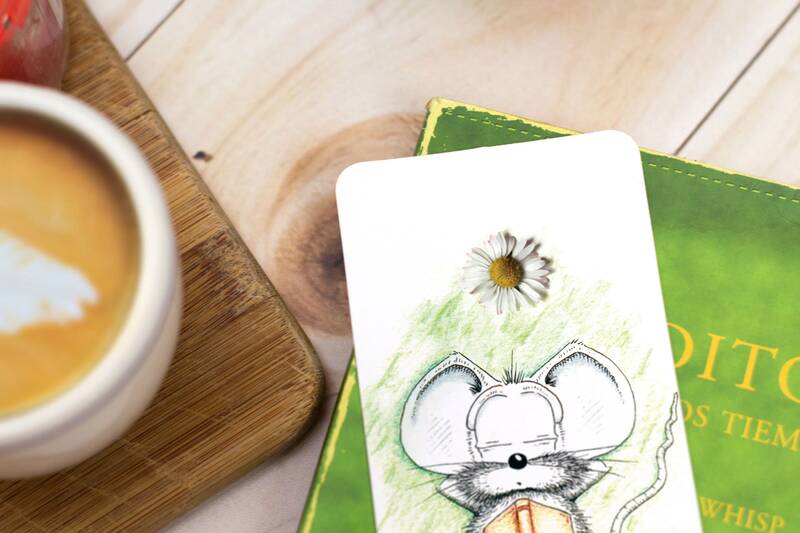 All of our products are illustrated with our animal characters, created by Loïc Apreda, and drawn by hand using pens, pencils and watercolor. To be able to create items with them, we digitalize the images and use different printing techniques depending on the item. We work hard on finding the right materials to make each product unique. We personally wrap each item with care to make sure it arrives safe, and to make you feel the love and effort behind each order. Since we are a multi-cultural team, based in the US, Switzerland and Mexico, our products are also designed and made in those 3 countries. We have 3 main characters, though eventually we invite some new ones to participate. 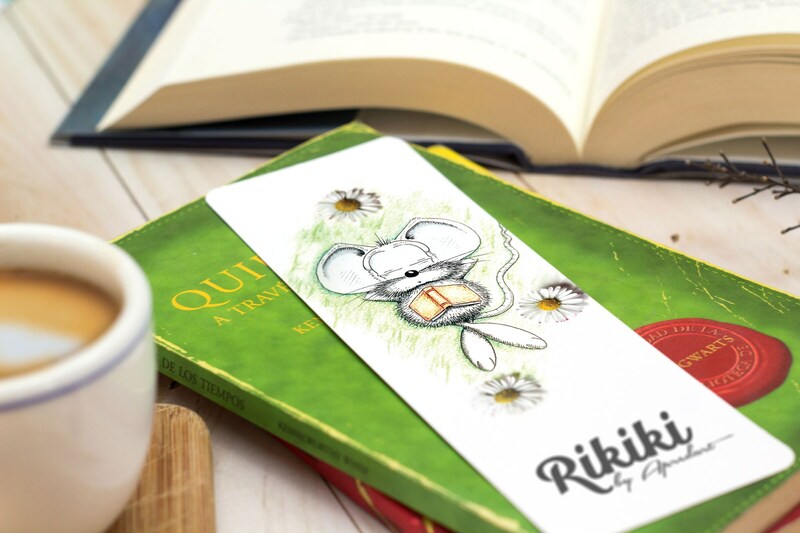 Rikiki: he's a cute little mouse who loves eating (big surprise, huh?) and making new friends. He's always trying to find the good side of things, and he enjoys life to the fullest. 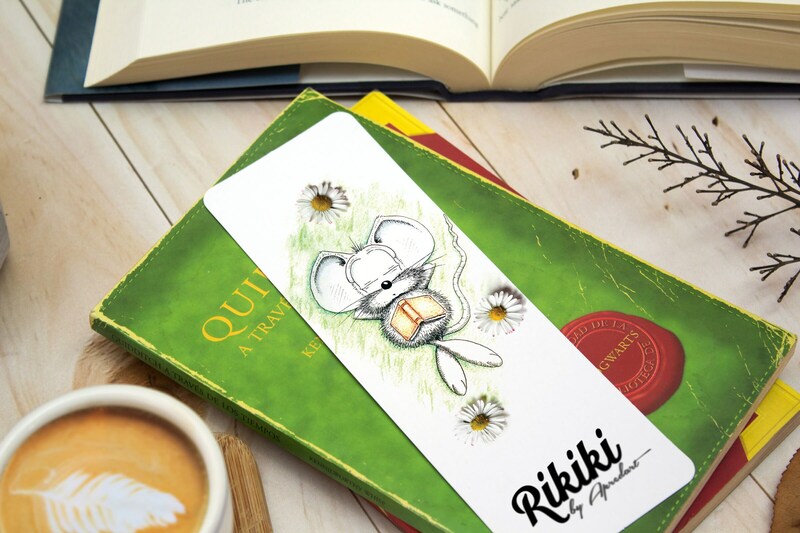 Kimali: she's a giraffe that used to live in a Zoo, until one day she was able to escape thanks to Rikiki's help, and have been traveling the world since then to see everything she missed before. When she's not traveling, she loves to join RIkiki for lunch. Latchoo: she's a cute moose who is always distracted and gets lost so easily. Sometimes she goes for a walk, and ends up in the most unexpected places, but that's led to her meeting new people and amazing places.